There are no requirements if you are taking your dog or cat to the Channel Islands or the Isle of Man from mainland UK as long as you don't go outside those countries on your journey. Austria, the Azores, the Balearic Islands, Belgium, Bulgaria, the Canary Islands, Ceuta, Cyprus, the Czech Republic, Denmark, Estonia, the Faroe Islands, Finland, France, French Guiana, Germany, Greece, Gibraltar, Greenland, Guadeloupe, Hungary, Ireland, Italy, Latvia, Lithuania, Luxembourg, Madeira, Malta, Martinique, Melilla, the Netherlands, Poland, Portugal, Romania, Slovakia, Slovenia, Spain, Sweden. Andorra, Antigua & Barbuda, Argentina, Aruba, Ascension Island, Australia, Bahrain, Barbados, Belarus, Bermuda, Bosnia-Herzegovina, the British Virgin Islands, Canada, the Cayman Islands, Chile, Croatia, the Falkland Islands, Fiji, French Polynesia, Guam, Hawaii, Hong Kong, Iceland, Jamaica, Japan, Liechtenstein, Malaysia, Mauritius, Mayotte, Mexico Monaco, Montserrat, Netherlands, Antilles, Singapore St, Lucia, New Caledonia, New Zealand, Norway, Russian Federation, St Helena, St Kitts & Nevis, St Vincent & The Grenadines, San Marino, Switzerland, Taiwan, Trinidad and Tobago, United Arab Emirates, USA, Vanuatu, the Vatican, Wallis & Futuna. As you can see, many countries are part of the scheme and there is a good chance that you can take your pet with you. The next step is paying a visit to your vet to get all the vaccines and tests. Don't worry though, they'll be well aware of what you need. After that you'll need to get your pet's passport sorted out. A microchip. This must be done before any inoculation injections. If your dog had a rabies injection before, you'll have to get another one after. Rabies vaccination. Have your pet vaccinated against rabies after having a microchip. There is no exemption - it doesn't matter if your pet has already had a rabies vaccination before. If entering the UK, get a tapeworm treatment. If you are coming back to the UK, before you take your pet on the ferry you must get it treated against tapeworm. This is a simple inexpensive procedure but very important. You must do this not less than 24 hours before you check in and 1-5 days before you check in. The check must be recorded in your pet's passport. If you are going on a day trip with your pet, you will will need to have the treatment carried out in the UK 1-5 days before they are checked in for the return journey. Blood test. A blood test is only required if you are departing from countries not listed above. 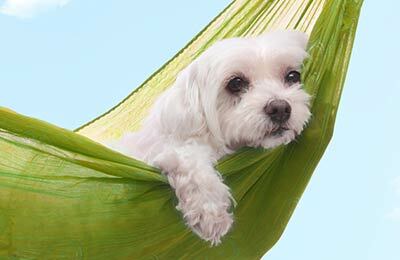 Pet passports are a vital part of taking your pet abroad. It's your responsibility to make sure you have everything up to date. To go in or out of the UK you'll need an EU Pet Passport. The passport shows that your pet has been microchipped, had a rabies vaccine and a satisfactory blood test showing the vaccine worked. In the UK you will need to find a government-authorised vet known as a local Veterinary Inspector (LVI). There is a good chance that your local vet has a resident LVI but if not, they should be able to tell you where the nearest one is. You can also contact your local Animal Health Office to find the nearest LVI to you. DEFRA doesn't charge vets for passports so if you are charged a fee for this, it shouldn't be too steep. Once you have your Passport you'll need to get it filled in. Sections I-V of the passport are the ones that you'll need to get your vet to complete. Your pet's vaccination record and the blood test result. Evidence of the date your pet was microchipped along with the microchip number. Who can you make an online booking with? So, now your pet has been to the vet and you have your pet passport the next step is booking the ferry and going on the journey. With Cheap 4 Ferries you can add pets to your booking with your initial search for ferries. 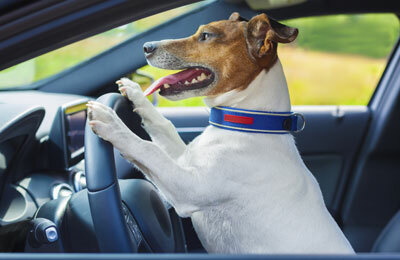 Using the booking form, select your route and once you have done this, if pet spaces are available on that route, the option to add dogs or cats will appear in the "passenger" section. The cost of your pets tickets is included in the total price. Any other operator specific information about taking pets with you on ferries or Eurotunnel trains can be found on the individual ferry operator pages. 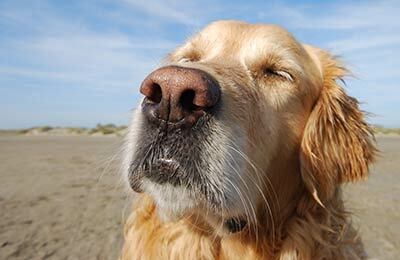 Make sure your pet's vaccinations are up-to-date before you book your holiday - don't leave it until the last minute. Before any long journey, give your pet a light meal and remember to pack small snacks for them - and the rest of the family. Take adequate supplies of your pet's normal food, they can be very sensitive to changes in diet. Take plenty of water and plan to make regular stops along the way - a quick rest stop can help everybody feel better! Pack spare collars, leads, beds and toilet bags. 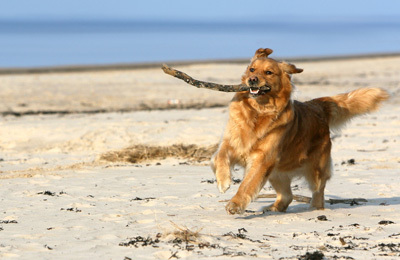 There's no need to leave your dog or cat at home when you go on holiday - real family holidays include the family pet!